Gone are the days when leaving for work meant having to leave your pup at home for a minimum of eight hours a day. 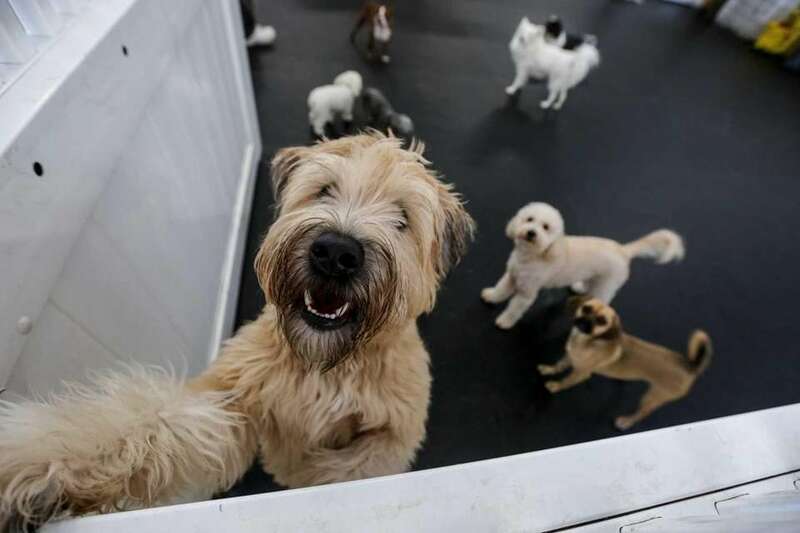 Many pet boarding centers have begun offering a day care option for working pooch parents who want their dogs to get lots of activity and socialization during the day. 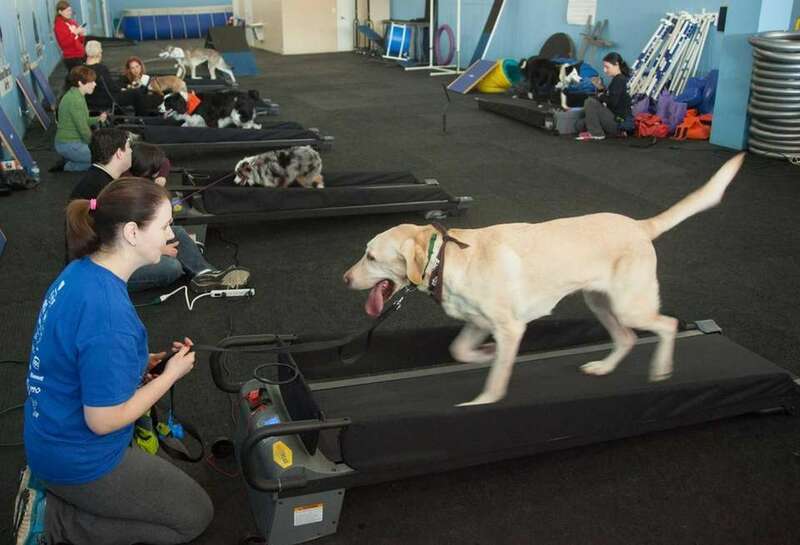 Here are some venues that your four-legged friend can head to for fun and fitness during the day. WHEN | WHERE: 7 a.m.-7 p.m. Monday through Friday, 8:30 a.m.-7 p.m. Saturday-Sunday; 910 Railroad Ave., Woodmere INFO: 516-569-3647, fidofitnessclub.com COST: club membership requires a one-time fee of $49.95. 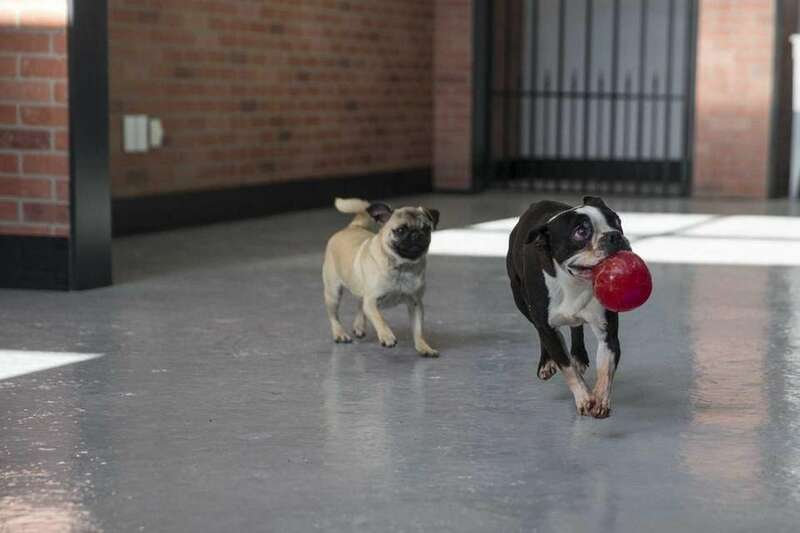 $20 dog park; day care $45 full day, $28 up to 4 hours FIDO FUN: The climate-controlled facility has three indoor play rooms for different size dogs. The club offers private training sessions, daycare with training and board with training residency programs. 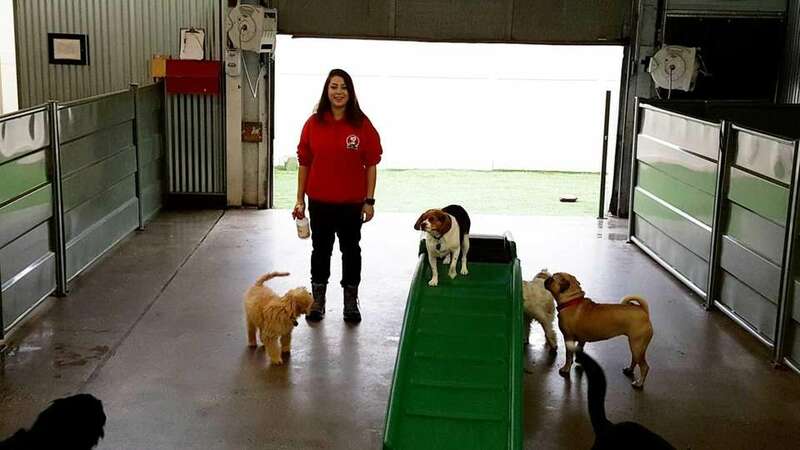 Sundays feature an agility course with obstacles, a weave pole, tunnels and a teeter-totter. WHEN | WHERE: 7 a.m.-6 p.m. Monday through Friday, 9 a.m.-5 p.m. Saturday and by appointment, 845 Raynor Ave., Riverhead INFO: 631-740-9359, hydranthotel.com COST: From $35 FIDO FUN: The 10,000-square-foot facility features outside splash pools and an agility course. WHEN | WHERE: 7 a.m.-7 p.m. Monday through Friday, 9 a.m.-6 p.m. Saturday, 10 a.m.-6 p.m. Sunday; 244 Herricks Rd., Mineola INFO: 516-742-7387, bestinshowpetresort.com COST: $36.95 single day; 10-day package, $339.50, 20-day package $619, 30-day package, $808.50 FIDO FUN: Dogs play inside a two-story resort-inspired space complete with an elevator. 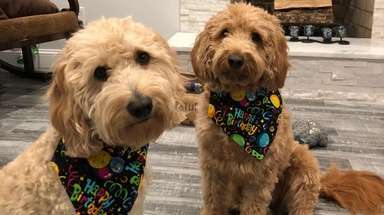 Pups can play in the monthly "Puppy Bowl" event; boarding and grooming is available, as are homemade dog treats and a variety of enrichment activities. WHEN | WHERE: 7 a.m.-7 p.m. Monday through Friday, 8 a.m.-7 p.m. Saturday, 8 a.m.-11 a.m. and 4 p.m.-7 p.m. Sunday; 174 Miller Place, Hicksville INFO: 516-595-7297, campbowwow.com/hicksville COST: $38/day ($23 up to five hours) FIDO FUN: At this 7,300-square-foot cabin-like facility, the dogs are called "campers" and the staffers "camp counselors." Four areas are designated for play. Each has a ramp with stairs for dogs to run on back and forth. WHEN | WHERE: 6 a.m.-8 p.m. weekdays and 8 a.m.-5 p.m. Saturday in Island Park (516-889-7777), Deer Park (631-522-1322), Ronkonkoma (631-467-1643), Port Jefferson Station (631-476-9320) and Farmingdale (631-465-9170) INFO: houndstownusa.com COST: $31-$34/day (weekly discounts and packages available) FIDO FUN: Indoor play areas feature activity sets (think preschool fun) for the dogs to explore. 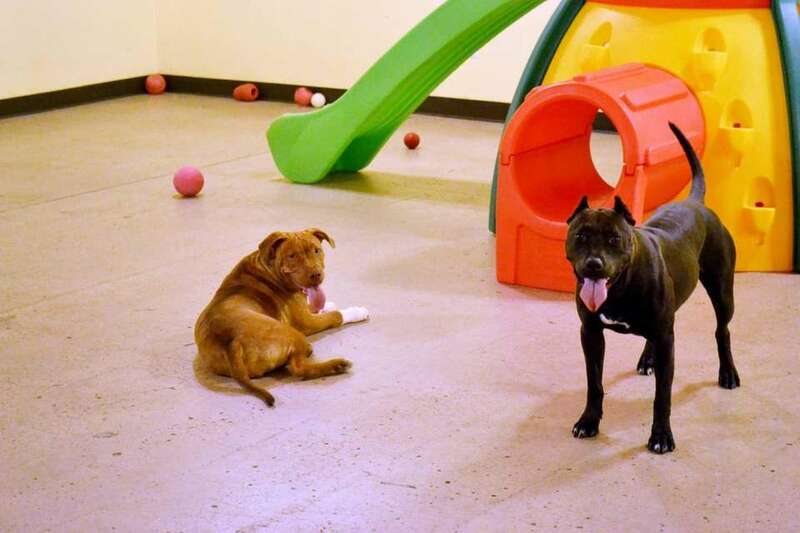 Animals are grouped by size and temperament for supervised doggy play dates that take place throughout the day. The lobby is closed to visitors from noon to 2 p.m. for nap time. WHEN | WHERE: 11 a.m.-8 p.m. Monday through Friday, 9 a.m.-6 p.m. Saturday, and 9 a.m.-5 p.m. on Sunday; 251 Voice Rd., Carle Place INFO: 516-280-8331, martialarfs.com COST: Classes start at $30 ($360 monthly unlimited) FIDO FUN: Dogs can get in the zone at daily indoor fitness and obedience classes, such as TreadSpin, Agility and Lure Coursing, and there's a 10-foot-by-18-foot heated saltwater pool for both leisure and therapy. WHEN | WHERE: 7 a.m.-6 p.m. Monday through Thursday, 7 a.m.-6 p.m. Friday, and 10 a.m.-4 p.m. Saturday (closed Sunday); 76 Montauk Hwy., Blue Point INFO: 631-619-3641, thefetchdog.com COST: $28/day ($18 half day) FIDO FUN: Described as a dog's "home away from home," the day care area indeed could pass for your living room, complete with a flat-screen TV and couches. Note to parents: The comfy setup is designed for couch potatoes that prefer to lounge rather than run around. WHEN | WHERE: 9 a.m.-8 p.m. weekdays, 9 a.m.-6 p.m. Saturday and 10 a.m.-5 p.m. Sunday at, 358 Little East Neck Rd., West Babylon INFO: 631-422-1971, k9clubhouse.com COST: $20/day; $10 for four or less hours FIDO FUN: Overnight boarding dogs get four hours of group playtime plus six bathroom breaks and a free going-home bath. 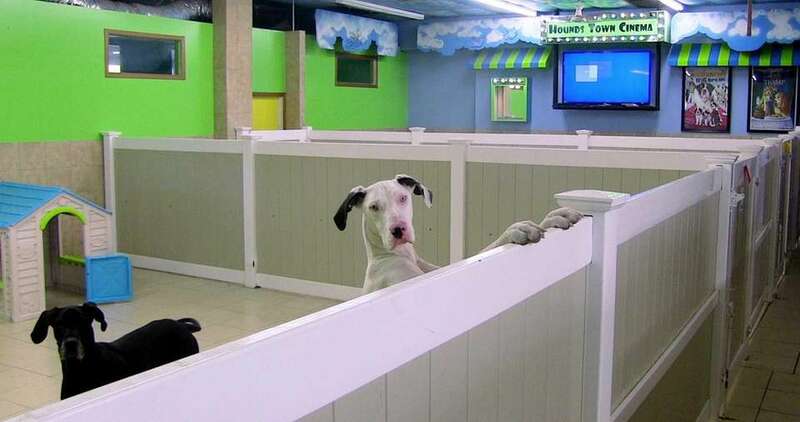 Daycare dogs can play all day; owners can request dogs stay in private suites as well. Owners can also supply food and other treats for their dogs to receive if desired. 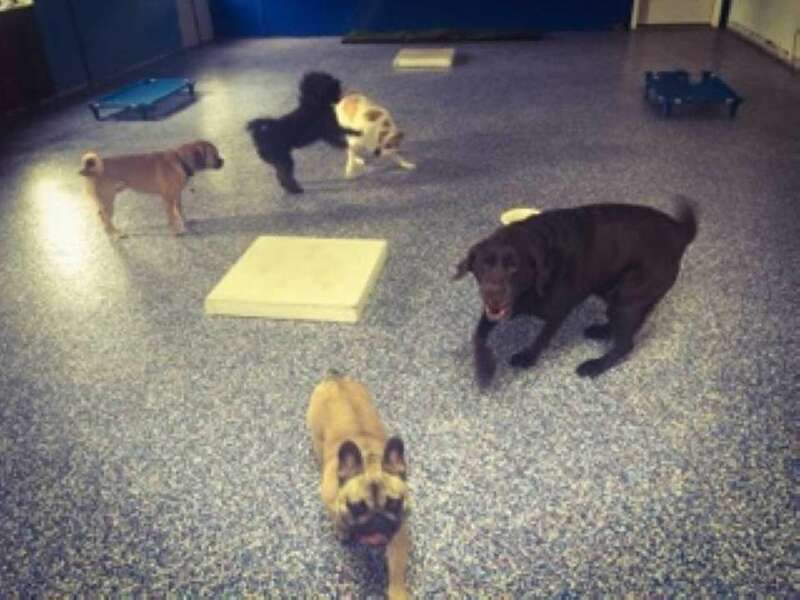 WHEN | WHERE: 7 a.m.-7 p.m. daily, 2135 Jericho Tpke., Garden City Park INFO: 516-249-7297, superpawsk9.com COST: $20/day; $35/ night for overnight boarding FIDO FUN: Dogs can run around and enjoy the indoor play area and rest stations. WHEN | WHERE: 9 a.m.-6 p.m. weekdays, 9 a.m.-5 p.m. Saturday and 10 a.m.-5 p.m. Sunday; 40385 County Rte. 48, Southold INFO: 631-765-8844, dogtownny.com COST: $35/day or $395 monthly unlimited (daycare only available Monday thru Saturday) FIDO FUN: Pups visiting for the day can let loose in four yard (two indoor, two outside); pups can play in the outdoor pool and get splashed by hoses come summertime. Dog parks on LI More than 50 furry friends available for adoption nowThinking about adopting a pet? 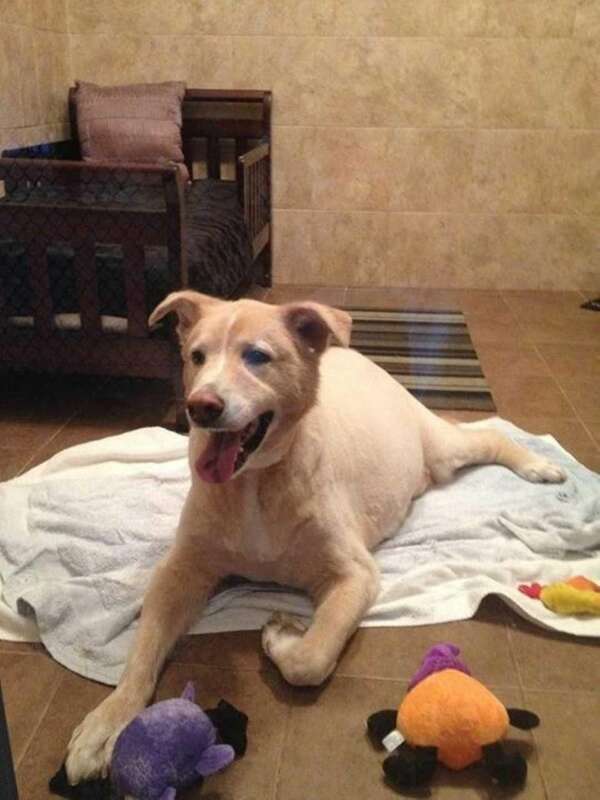 These Long Island shelter dogs are looking for forever homes. Allergic? These 12 pets are hypoallergenicThese 12 breeds are either furless or have coats that don't shed, eliminating the chances of hair becoming an irritant. Which dog breed should you adopt?